I am looking to build a rabbit or bunny for my wife. 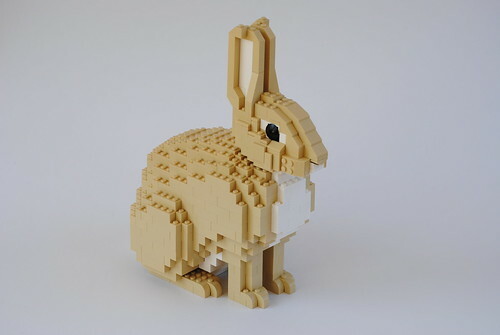 I know that I will get 100 comments to say just build it yourself, but I’m looking to see if anyone has a good set of instructions for a realistic looking bunny/rabbit. I had a bad accident about two months ago and as such, I cannot drive so my wife has been carting me around pretty much every day to doctors, therapy, and such. 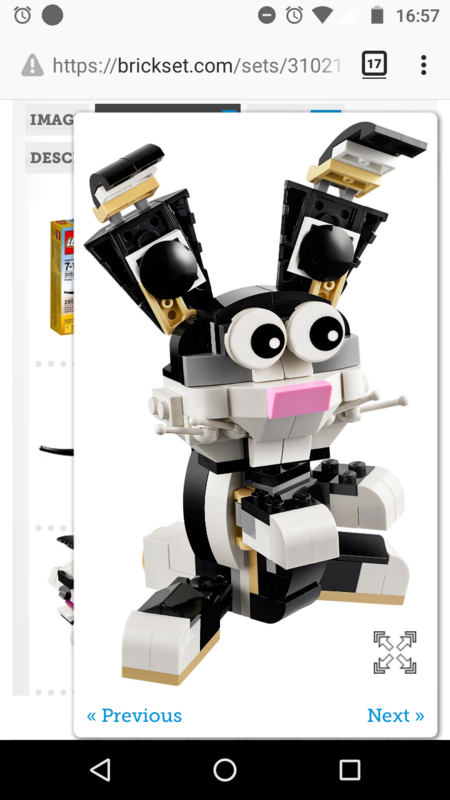 I would like to repay her by giving her a Lego built bunny. Things men will do for their wives, eh? Maybe not as realistic as you want but might be cute enough to suffice. Oh goodness, this one had me cracking up. There is this one from 2014... I always liked this one. Maybe a different Direction? I really like the cute rabbits in the friend line. Perhaps create a cute rabbit enclosure? For a rabbit or two. Then you can eventually add more rabbits to it over time. I think the one from #31021 is actually pretty fun. Instructions on the Lego site. Also, hope you feel better soon! There's a couple I am aware of although bunnies are a common LEGO Easter set as others have said. 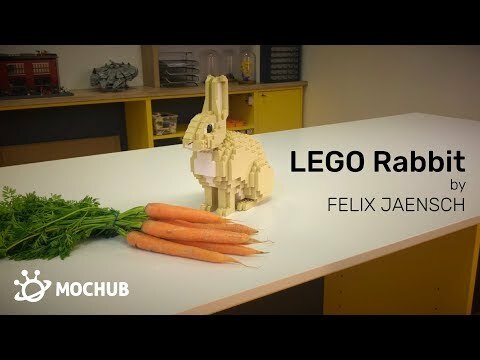 Also Felix Jaensch has made instructions for his awesome rabbit and although he released it as a set via MOCHUB, he may have the instructions if you contact him via Flickr. 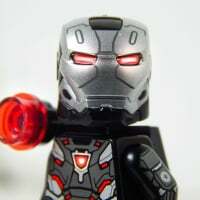 @desmontes This is the one I am looking for. This is realistic and what I believe my wife would like. Thank you for your comments and suggestions. I will go contact the creator. @MorkMan no worries, I thought it might be a good one as soon as I saw 'realistic' in your original query. Good luck with your quest! I reached out and am awaiting a reply! Thanks again. http://www.moc-pages.com/moc.php/250690 Years ago I managed to recreate Schfio's amazing Chinese white dolphin, but until now I had forgotten about these incredibly cute bunnies. I don't know how good you are at backwards engineering from photos, but it would be a great project. Let us know if you have any luck. That is a lovely rabbit and I think my daughter would love it. Good luck with your recovery. @DeMontes and @workshybum No such luck with the instructions for free. I was politely directed to purchase the full kit on MOCPages. I may just go down that route. Same here. Happy to pay for the instructions but could only see a price for a full set on MOCHUB, when I probably have many of the required pieces already. Thanks for letting me know though. I ended up buying the Rabbit on Mochub! She loves it! Thanks for the info everyone.